I’ve had a number of friends ask me about Roblox and if it’s safe for their kids, so I thought it might be worth sharing the advice more broadly – so everyone can keep their kids stay safe whilst using Roblox. There’s a few things you need to know and do as a parent – to ensure your kids don’t get subjected to inappropriate content, or get bullied or groomed within the platform. I’ve provided a general overview of the platform, covered off some of the risks, plus some practical steps for what you need to do below. Hope this helps! It’s basically a very popular online multiplayer game that works on both PC’s and iPads (computer seems to be more popular), and looks like a mix of Minecraft / Lego. It’s a lot of fun for the kids and hence why it’s becoming popular! The platform has grown its global user base since going live in 2006, and is said to now have more than 30 million active users. Basically they get to play within various games within the platform, or can build their own. There’s hundreds of games… they range from mazes, obstacle courses, to a wide variety of themes or interests – e.g. fashion shows – mostly innocent stuff. 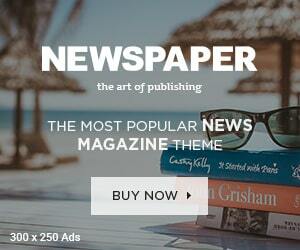 The issue is the self made content – as obviously is ripe for misuse. There’s games including content such as horror, shoot to kill, and other themes definitely not suitable for children. Hundreds of games available – but are they appropriate & safe for your kid? 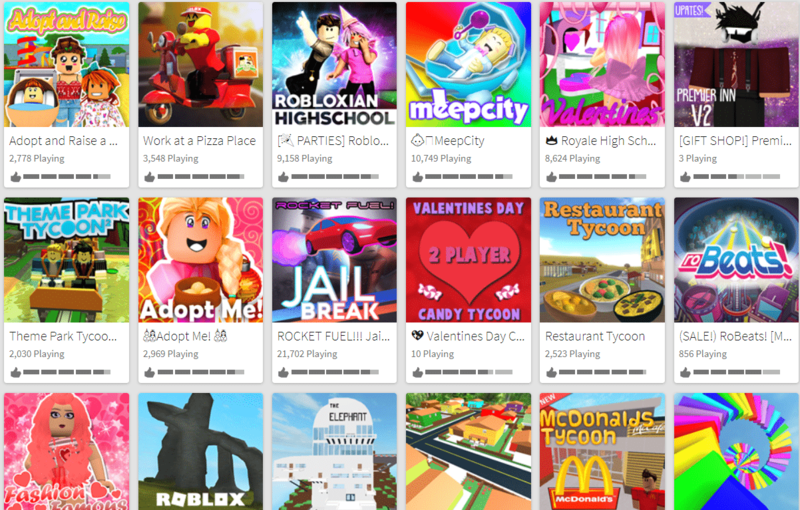 Some of the Roblox games are G / PG rated and do seem to be suitable for younger children, but only if the parental controls are set up – and there is strict parental supervision. Under 13 year old accounts have automatic restrictions set, which is a good start, however by default there a number of settings that aren’t active – which need to be enabled to protect your child. I’ll cover these further down this post. The guys behind Roblox have put a fair amount of effort into providing parental features and controls, however no matter how good these are, there’s always the potential that parents simply don’t know about them / or use them, or are inappropriately configured, or not at all – leaving your kids at risk. Here’s a useful link covering more of the parental features by Roblox. Roblox has been reviewed on commonsensemedia.org, by both commonsense reviewers and by parents of players. In a nutshell, there’s a few things to be aware and concerned about – your child might end up viewing pornographic images, or might be subjected to misuse of the chat feature, which I’ll explain in more detail below. Parental controls, via the account restrictions are therefore essential to protect your kids. The challenge is that players create their own worlds or games via the Roblox Studio app – any they can create ANYTHING. That’s all good – but your child can choose to play a game that someone else has created, which might not be appropriate – potentially including pornographic graphics, or be violent etc. If you don’t have parental controls enabled, your child can choose any game to play and potentially be subjected to material that isn’t appropriate for them. Games that are registered as having Mature or Adult content are largely blocked in under 13+ accounts. There are however some other creative ways players can get around this, with rude titles, swear words, and inappropriate / raunchy / provocative / rude clothing / outfits. If you turn on account restrictions, they can only access curated games within the platform – which are reviewed and known to be safe and appropriate. Additionally, if you turn on the account restrictions feature, contact settings (under the Privacy page) will also be set to “Off“. We’ll cover this in the quick tips section further below. The other thing to be aware of is the Roblox platform chat capabilities – as it’s quite limited from a parental settings perspective. Players can send each other messages, and can send and receive friendship requests to each-other too. Strangers can also request to become a friend. Do you really want “Everyone” to be able to chat with your child in a game? Maybe not. The challenge is – if your kid has already started to use the chat facility with their friends, then it is a difficult one to then remove it. Best to explain the risks of stranger danger, and what they need to know…. Whilst the new account restrictions can do a great job of blocking chat and blocking games that have adult content within them, unfortunately your child even with the strictest settings set up, will still get random friend requests from complete strangers. Often your kids will always accept these requests without giving it much thought as to who they might actually be communicating with. Be aware that it’s possible to receive friend requests whilst using an “under 13 year account” with the available account restrictions all enabled to the strictest settings. If your child accepts these friend requests, unless the parental controls are set to the strictest “no chat in game” settings they can then talk to these strangers, who become “friends” after their request has been accepted, via messaging and chat. They could also play with them on shared games. Something to watch out for, and you should talk to your kids about this. If your kids are already using the platform, using the parent account, check who they have made friends with, and delete / block friends. To do this when logged in, click on the friends menu, and the click on the profile of the “friend” you want to “un-friend” and then select “Unfriend” from their top right profile. 1. Ensure you set up your parental account so that you can manage your child’s settings within the platform. 2. Once you have the parental account configured, next step is to ensure you set up the 2 step verification, so that when your child logs in from a new device, a code will be sent to your email address to approve it.To do this log in, and click on the cog icon in the top right of the screen, select settings, and then click on the security tab. 3. Whilst logged in, also set the account PIN, so that only you can change the security & privacy settings. 4. Make sure your child’s account is set up as “under 13 year old” account – as this has automatic restrictions set. To check this, log in using your parent account, and you’ll see your child’s account name displayed in the top right hand corner – with a “<13” to indicate that it is a under 13 year old account. 5. Lastly, and most importantly ensure that you have enabled the “Account Restrictions“, so that your child can only access curated content on the platform. This prevents inappropriate games from being accessible. This setting also disables all of the chat features. There is no way to stop your child from having multiple Roblox accounts on a device. Your child could have one Roblox account you know about…. and perhaps one over 13+ account that you don’t know about that you don’t supervise. There is no restriction or mechanism to stop your child from setting up an over 13+ account. You will not get an email notification about a new account being enabled, or be able to see it on their device if they log out of it. That’s why it’s important to supervise and check in every now and then. It’s a really good idea for parents to supervise account sign up, set the account restrictions, and then sit with their kids when they are playing. Especially for younger teens and under 13 year olds. Make sure the computer or device they use is in a supervised spot – where you can see what they are doing. It’s also a really good idea to talk about stranger danger online, and to set boundaries around accepting friend requests, and supervise your child if you do allow them to join and play with their real offline friends. Ensure your child has not entered any personal details in the Roblox account info – so that they aren’t sharing any personal info such as their birth date, gender or location. Some kids do this, and don’t realise the risks of sharing too much info online. Ideally ensure the account name that your child sets up, does not relate to their real name. Ensure your child uses a long password, and that they know not to share with anyone other than yourself. Nothing worse than bullying though someones account being misused. Please get in touch if you have any other questions or concerns about the Roblox platform. I’m always happy to hear from people.